Hey there! Thanks for checking in today. 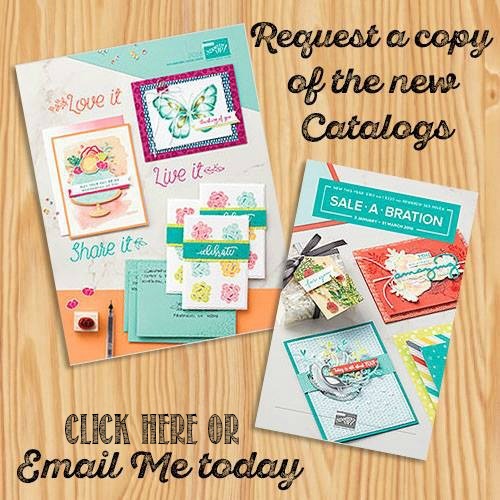 These are some of the cards I sent out with the Occasions catalogs I sent to my customers. 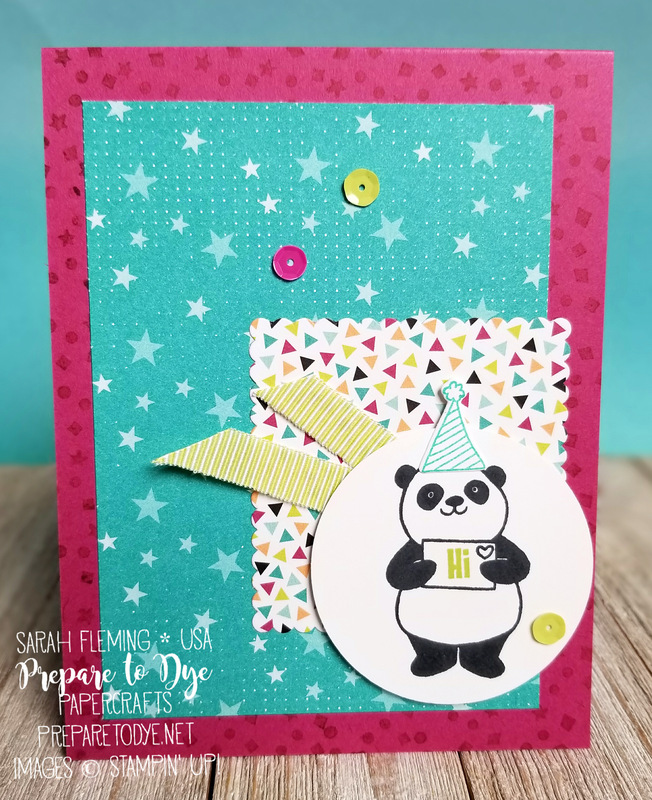 They feature two FREE Sale-A-Bration goodies, the Party Pandas stamp set and the Bubbles & Fizz designer series paper. Isn’t this guy just the cutest?? 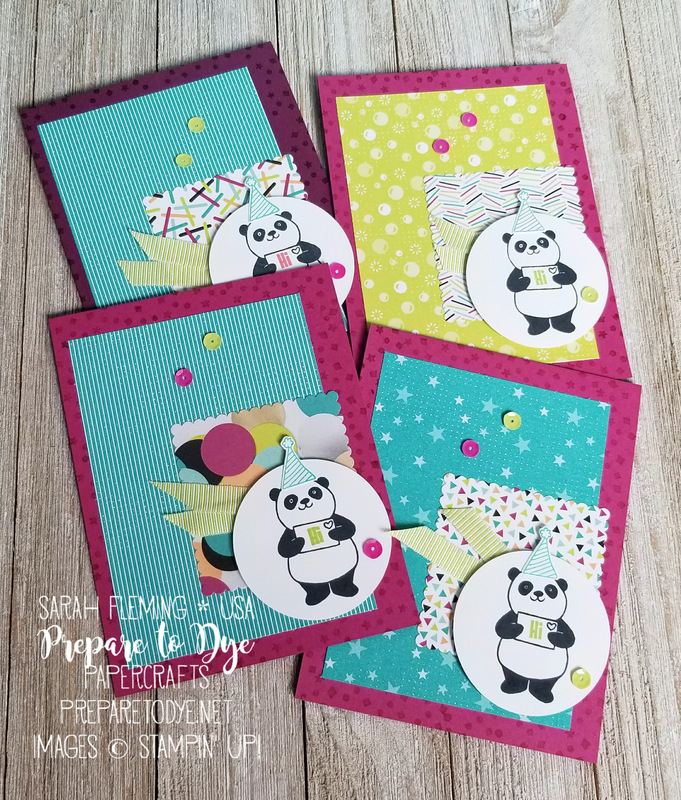 This whole panda stamp set is adorable. 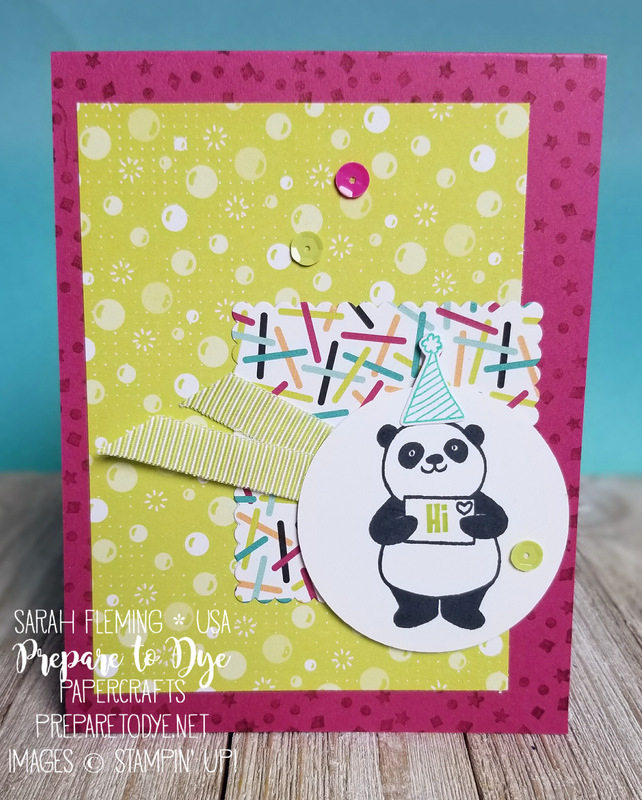 And the confetti I stamped on the card base is also from the panda stamp set. The background paper is the Sale-A-Bration freebie, Bubbles & Fizz. I almost passed on this, but I’m so glad I didn’t. It’s so bright and fun. The paper in the Layering Square is Picture Perfect Party. I love both of these bold paper packs. 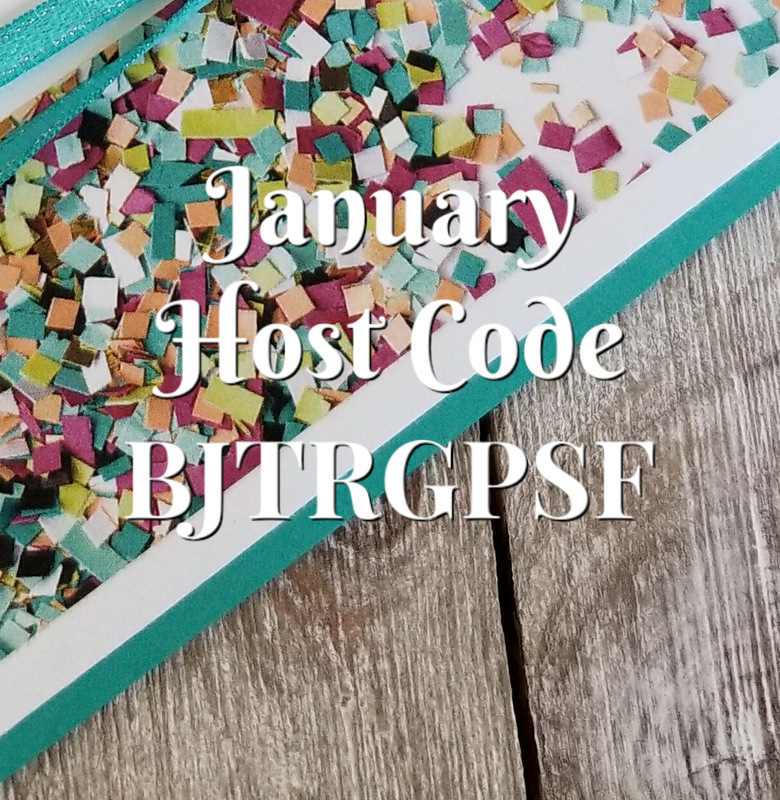 The ribbon I used is the new Lemon-Lime Twist 3/8″ Mini-Striped Ribbon, and the sequins are the new Tutti-Frutti Adhesive-Backed sequins.